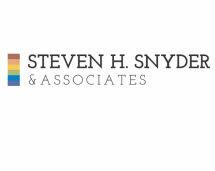 Steven H. Snyder & Associates, located in Maple Grove, Minnesota, is a law firm that helps families grow. Our practice is focused on working with our clients who have questions regarding the legal issues connected to assisted reproduction. Our lead attorney, Steven H. Snyder, has over three decades of experience working with families considering raising a family through assisted reproduction, and he is nationally known for his work in the field. Steve has conducted several presentations across the country on this topic, and has written several articles to educate other attorneys practicing in this area of law. Our attorneys will prepare you for the entire process: We review all of the laws applicable to your situation, and help you understand potential areas of concern. We answer all of your questions, and work together with you to ensure that you and your family are protected at all times. At Steven H. Snyder & Associates, we strongly believe in educating our clients about this extremely challenging area of the law. We offer free, no-obligation consultations with our lawyers to anyone considering starting a family through assisted reproduction. We want you to feel confident that you have the advice you need to make the best possible choices for the future of your family.